A runtime monitor checks a safety property during a program’s execution. A parameterized runtime monitor can monitor properties containing free variables, or parameters. For instance, a monitor for the regular expression “close(s)+ read(s)” will warn the user when reading from a stream s that has previously been closed. Parameterized runtime monitors are very expressive, and research on this topic has lately gained much traction in the Runtime Verification community. Existing monitoring algorithms are very efficient. 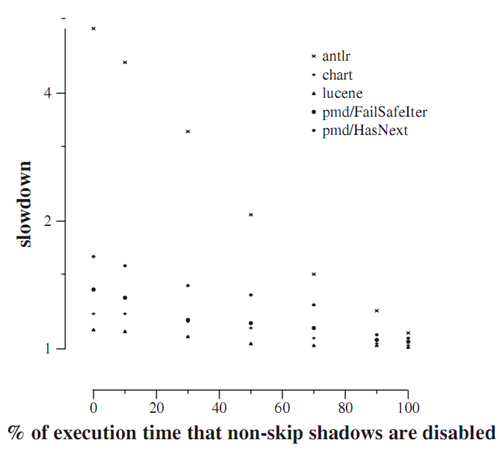 Nevertheless, existing tools provide little support for actually defining runtime monitors, probably one reason for why few practitioners are using runtime monitoring so far. In this work we propose the idea of allowing programmers to express parameterized runtime monitors through stateful breakpoints, temporal combinations of normal breakpoints, a concept well known to programmers. We show how we envision programmers to define runtime monitors through stateful breakpoints and parameter bindings through breakpoint expressions. Further, we explain how stateful break- points improve the debugging experience: they are more expressive than normal breakpoints, nevertheless can be evaluated more efficiently. Stateful breakpoints can be attached to bug reports for easy reproducibility: they often allow developers to run directly to the bug in one single step. Further, stateful breakpoints can potentially be inferred from a running debugging session or using property inference and fault localization tools. 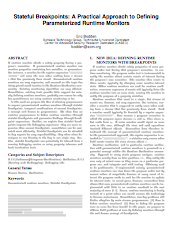 Abstract: Researchers have developed a number of runtime verification tools that generate runtime monitors in the form of AspectJ aspects. In this work, we present Clara, a novel framework to statically optimize such monitoring aspects with respect to a given program under test. Clara uses a sequence of increasingly precise static analyses to automatically convert a monitoring aspect into a residual runtime monitor. The residual monitor only watches events triggered by program locations that the analyses failed to prove safe at compile time. In two-thirds of the cases in our experiments, the static analysis succeeds on all locations, proving that the program fulfills the stated properties, and completely obviating the need for runtime monitoring. In the remaining cases, the residual runtime monitor is usually much more efficient than a full monitor, yet still captures all property violations at runtime. Joint work with Chang Hwan Peter Kim, Don Batory, and Sarfraz Khurshid, to appear at RV 2010. Abstract: A software product line is a family of programs where each program is defined by a unique combination of features. Product lines, like conventional programs, can be checked for safety properties through execution monitoring. However, because a product line induces a number of programs that is potentially exponential in the number of features, it would be very expensive to use existing monitoring techniques: one would have to apply those techniques to every single program. Doing so would also be wasteful because many programs can provably never violate the stated property. We introduce a monitoring technique dedicated to product lines that, given a safety property, statically determines the feature combinations that cannot possibly violate the property, thus reducing the number of programs to monitor. Experiments show that our technique is effective, particularly for safety properties that crosscut many optional features. Today I am having good news for everybody who is working on runtime monitoring in a Java-based setting and is thinking about using my Clara framework for partially evaluating runtime monitors at compile time. My tutorial proposal for RV 2010 has just been accepted. Problem Statement: Why partial evaluation? 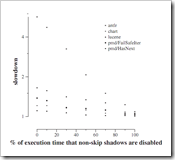 Static analyses in Clara: How do they work? How can we use them? P.S. Also don’t forget that the paper submission deadline for RV is approaching quickly: June 1st! static-analysis results to generate a residual runtime monitor. This monitor captures actual property violations as they occur, but only updates its internal state at relevant statements, as determined through static analysis. I am happy to announce the final version of our new FSE paper (joint work with Patrick Lam and my supervisor Laurie Hendren). You can grab the paper here. The idea of the paper is that runtime monitoring is nice because it manages to show you only actual errors, but nevertheless one should make a best effort to evaluate a runtime monitor ahead-of-time, i.e. at compile-time, as well as possible, so that programmers can find errors in the programs earlier in the development process.